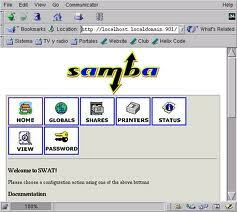 SWAT is the Samba Web Administration Tool that enable us to configure Samba from Web browser. In this post i will show simple steps to get Samba SWAT running on your CentOS 5.5 server. With SWAT, you can easily manage your samba server without messing with command line. You just need to install xinetd first, and then proceed to install samba-SWAT. 4. Configure swat as below. Change Line 10 and 14 only. vmstat command is a utility that will provides interesting information abaout processes, memory, i/O and CPU activity. When you run vmstat utility command without any arguments, you will see the output as below. This post will guide you on how to check memory and I/O with vmstat on Linux CentOS 5/CentOS 6/RHEL 5/RHEL 6 server to optimize the linux system performance. Where nsec is the number of seconds you want it to wait before another update. Top command is utility to monitor system activity interactively. When you run top from shell window, it will display all the activity processes and updates the screen. In this post i will show the usage of top command on CentOS 5/CentOS 6/RHEL 5/ RHEL 6 server to keep track system activity and to optimize the system performance. Question : When i try to perform the troubleshooting using telnet command, the following error appeared. How to fix this ? In this post, i will show you on how to install gcc package. The GNU Compiler Collection (GCC) is a compiler system produced by the GNU Project supporting various programming languages. The compiler is designed to support multiple front-ends and multiple back-ends by translating first into Register Transfer Language and from there into assembly code for the target architecture. Assume that you have installed minimal installation type CentOS 6.2 and has setup your own local yum repository. You can use internet CentOS yum repository instead if you have direct internet connection to your server. Simply run yum command to install the gcc. This post will guide you on how to modify date and time stamps using “touch” command. The touch command is easy to use and there are two reason to use it. 1. To create a file. 2. To update a file’s modification date. The touch command is part file utilities package and has several options. How to modify date and timestamps using touch ? This post will guide you on how to create a file using “touch” command. The touch command is easy to use and there are two reason to use it. How to create new files using touch ?